There are 4270 posts in this topic. You are on page 79 of 86. Ack! It made it two games. Now he isn't registering movement of location again. Another thing I noticed, is sometimes when I'm in the testing mode...I move into the slimer tests and cant get them to start. It doesn't reagister to do the test with the +, -, enter or even the start button. I'd try reflowing the solder to the optos, then. I'm sure this has been addressed somewhere in this thread but what do I check if my auto plunge is weak? It's weak about 80% of the time at various levels of weakness. Started happening about a week ago. Manually check the auto launcher by moving it with your hands and make sure it isn't binding or feels like it's dragging in the coil sleeve. Check the ohms (resistance) of the auto launch coil to see if the coil is weakening. There's a chart online with "normal" resistance ranges for most kinds of coils. 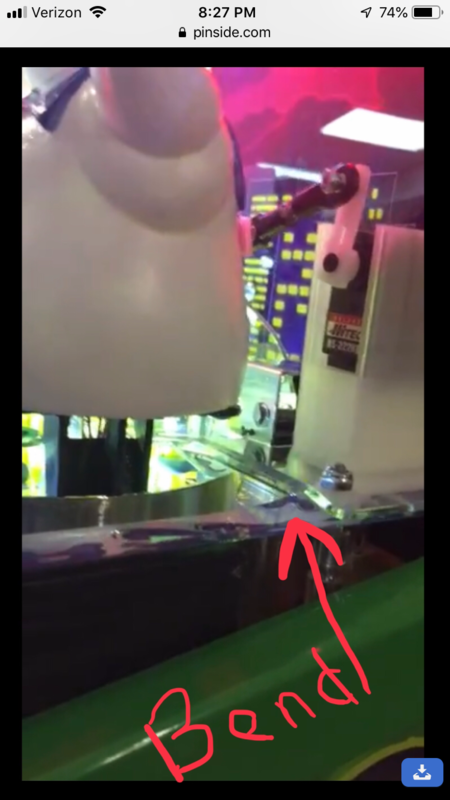 Slo-mo film an auto launch with your iphone and see if the auto-launcher is hanging up on something OR if the ball is launching unevenly and bouncing off each side of the shooter lane, slowing it down. Decided to pull the trigger and purchase the Swinks standup target brackets. Can't watch to try them out ! Well we're going to find out, because I just bought two to try ($17.50 each, shipped) on the GB Premium we have on the route. I'll add these, remove the shield and report back. Oh, yeah. Sorry, I completely forgot to follow up. Yes, it stopped all the huge ball jumpbacks (like ones that would go over the flippers, etc) and the ball is nowhere near as wild hitting the targets. I removed the protector and it's working fine. 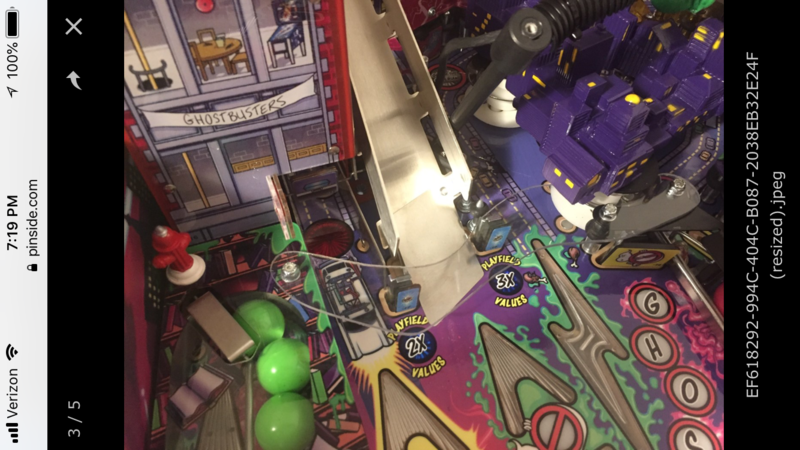 The only real negative (which is not related to the targets) is that protector kept the ball down longer as it started up the ramp, so without it, you sometimes get rocket-launched balls that go off the ramp and into the area behind Gozer. That ramp really needs a clear half-funnel on it to keep the ball on the ramp. They're expensive, but they do work for the most part. A substantial improvement, and as such, I expect Stern will rip it off soon enough. Yes, it stopped all the huge ball jumpbacks (like ones that would go over the flippers, etc) and the ball is nowhere near as wild hitting the targets. I removed the protector and it's working fine. A substantial improvement, and as such, I expect Stern will rip it off soon enough. I would expect Stern to improve their brackets yes. Would you prefer their didn't and left the air-ball prone ones on? If they take a good idea to improve their game that a pinhead/fan designs, I would prefer some kind of financial consideration at the very least to the lay person that bested their paid engineers and took the time and effort to improve their games instead of just ripping it off. That's great to hear. Personally I've been planning on covering the entire ramp with a piece of plastic that has some sort of graphics on it. That huge, plaine, stainless steel ramp is a bit of an eye sore on an otherwise beautiful game. thanks heaps for chiming in and giving your honest feedback vireland and am glad that they made an improvement which I was getting worried that no one was reporting back, thanks heaps for the feedback but also what you do on pinside as often see you offer alot of help for people especially the noobs. I know this has been discussed in other threads, but I didn't see any "fixes". 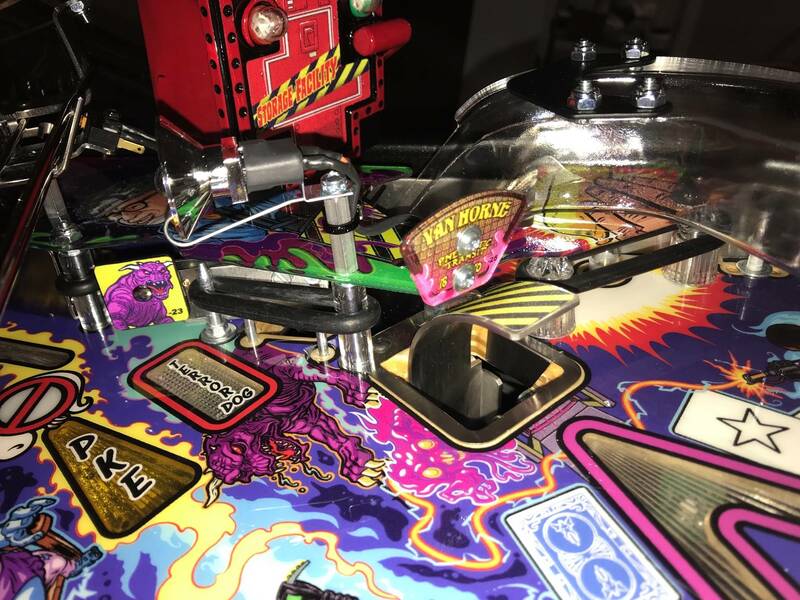 The storage facility multiball lightshow needs to be toned down. 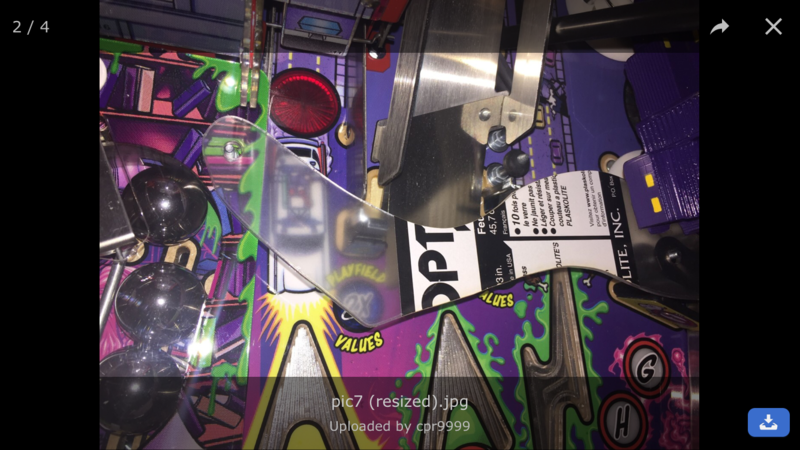 When I lose balls in this mode, most just roll down the middle off of a flipper because I didn't even see the ball. Has anybody come up with any ideas that are easily implemented? Everything looks and feels good when I manually check the launcher. The resistance reading for that coil (23-800) was 3.9. Is a 3.9 reading mean it's causing my issue and needs to be replace? Maybe someone could check their reading for me? I wind up adjusting my stance when I get SFMB so the lights aren't hitting my in the eyes. I crotch down to about the height of 7 year old and play the mode. It's helped tremendously. Silly, but it works. But 3.9 isn't that far off (less than 10%), and also wouldn't explain why it's intermittent. If the coil were bad/weak, you'd expect it to be consistently so. Does this happen more once it's warmed up (later in a session)? 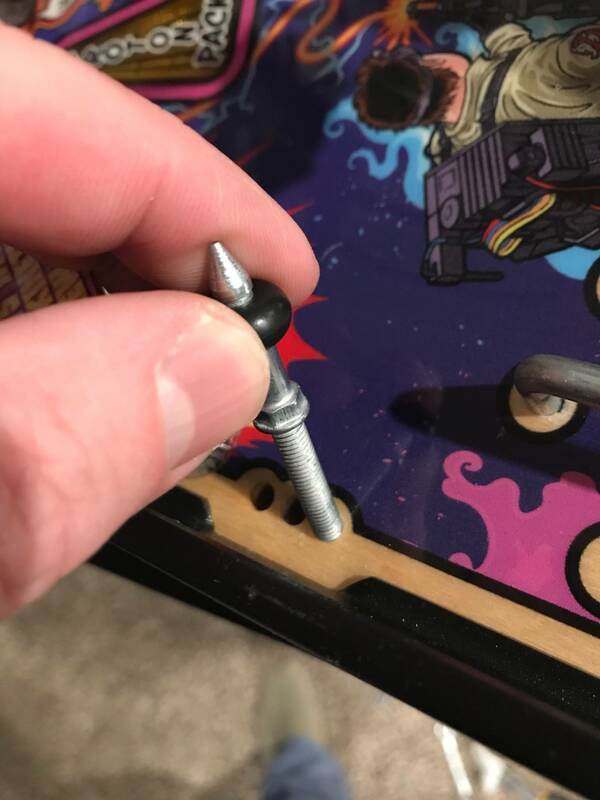 Hey all - did a recent 'first pinball machine' repair for a drop target failure that wouldn't 'rise'(Nunzio Scolari)...glad I ordered the part (plastic that supports the lift)pretty proud of myself. anyway, next on my Todo's is checking the right bucket (I think that's called a bucket?) 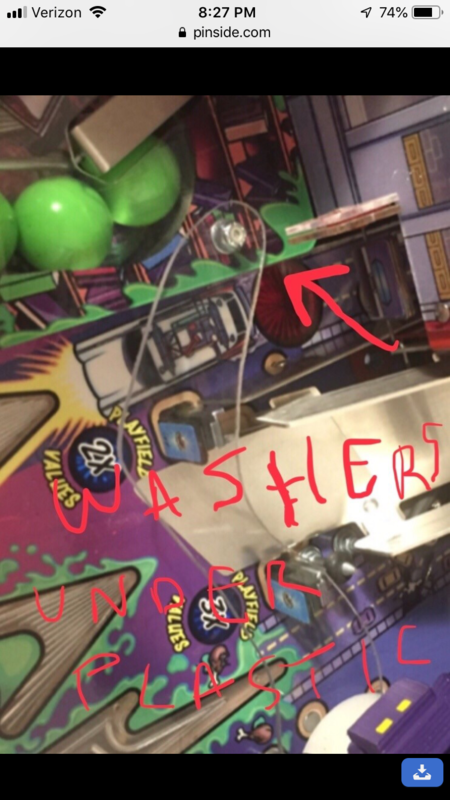 About 30% of the time the bucket doesn't detect the ball and the system starts a ball check. Eventually it pop's out the ball...Can anyone point me in the right direction for seeing what may be the issue? Your switch probably has come loose or fallen down. It's common. Thanks - so any guidance or existing direction on fixing I can reference? 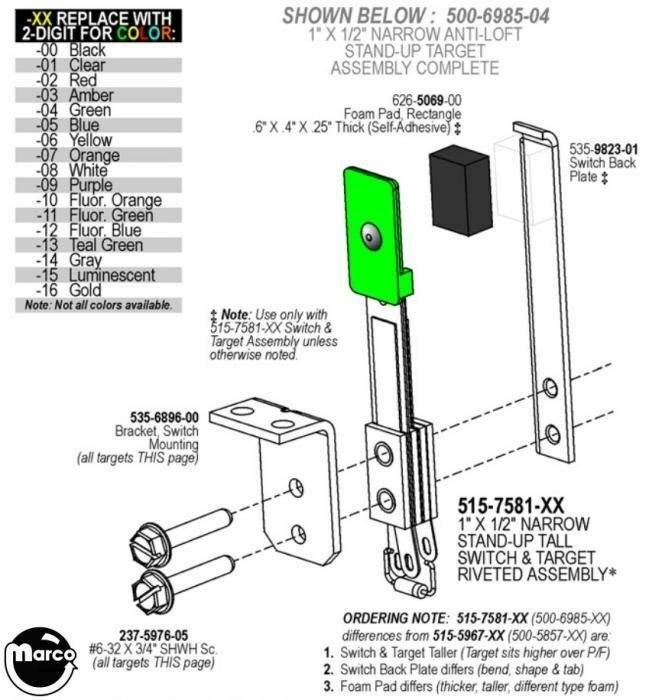 I saw some folks mentioning a spring tension issue but not sure if related to this. 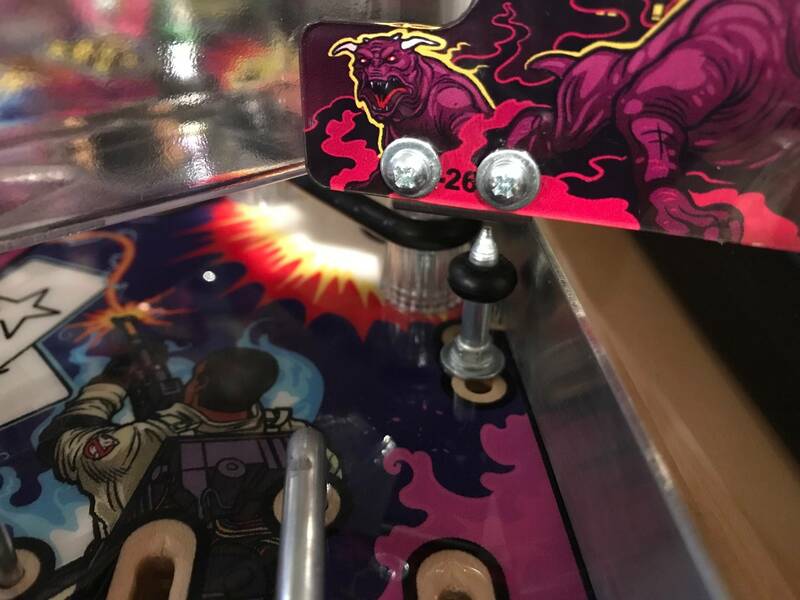 Has the Tech menu item on your diag menu flagged the ball lock as a problem yet? I went through the menus and couldn't find anything indicating a problem...The Technician Alert says 'No Technician Alerts' - is there something else I need to check? No Technician alerts is what I was looking for. So that means the problem isn't "that bad" yet. 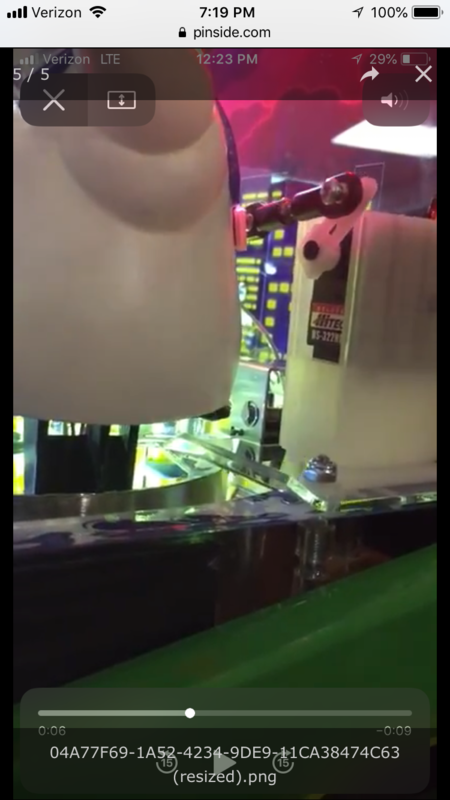 So just lift the playfield and look into the bottom of the "scoop" area on the right. There's a switch there. Check to make sure the switch body is firmly attached, if not, screw it in hand tight. If that's fine you just need to bend the arm of the switch out a little more so it makes contact sooner and longer when a ball comes in. 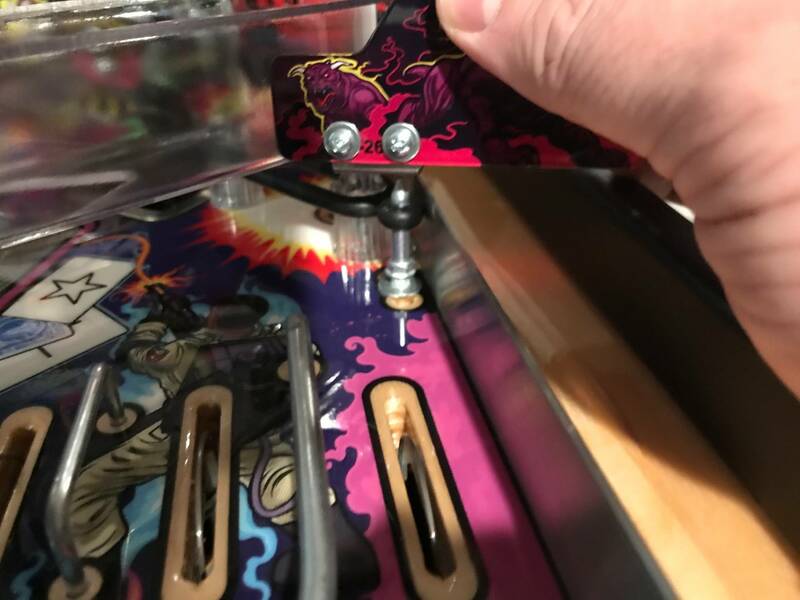 Put one finger near where the switch joins the body (or bending it up might pop the switch blade off the plastic nubs on the side) and press that tight while gently bending the other end away from the switch body a little more. You won't need much, so only do a little at a time. Then test it by going into switch test mode and dropping a ball in to see if the switch registers on the screen. If not, repeat the bending a little more. The air balls were quite ridiculous as everyone here knows (Why Stern/Trudeau went with the straight angled target bracket is beyond me). I think the only advantage of the newer targets is they keep the target straight and the disadvantage of the older ones are they tend to then learn over after multiple hits, but the angle is the key, hence the re-work on the base bracket that I pursued. did you swap the whole thing? Hasn't happen the last 2 sessions. Maybe it was a fluke. I figured if that style of bracket is used on the ramp entrance targets on games like Metallica & work fine then why not on GB also. After 400 games they haven't bent. Yeah the older style target brackets are prone to drifting & leaning over to one side, The slot on the newer targets prevent that. Dumbfounded as to why these newer Stern target brackets are set to 90 degrees & not 85. How can I get a couple of your target brackets Swinks? I'm based in Australia also. Ive got these to install also. I'm kind of hoping that once these are in I can take of the PET airball deflector as it looks pants. installing mine this week (one today and one when the other one turns up as I forgot to order two!). Will give feedback. Its been a while since I made this post and never followed up. 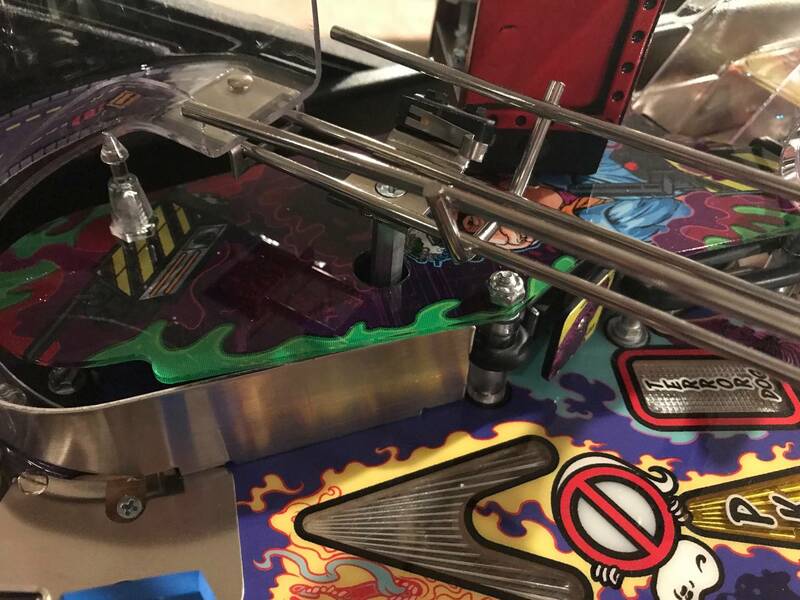 Stern ended up sending me an RMA box for my ghosting playfield and had a brand new one back to me in about a month and a half. Pretty quick turn around at at no cost to me. Stern gets bashed on quite a bit but if you ever have to deal with service they are very responsive and understanding. So installed my Swinks brackets the other day. And had plenty of shots ( bricks mostly ) to the stand ups. Not even a hop from the ball ! Trust in Swinks. 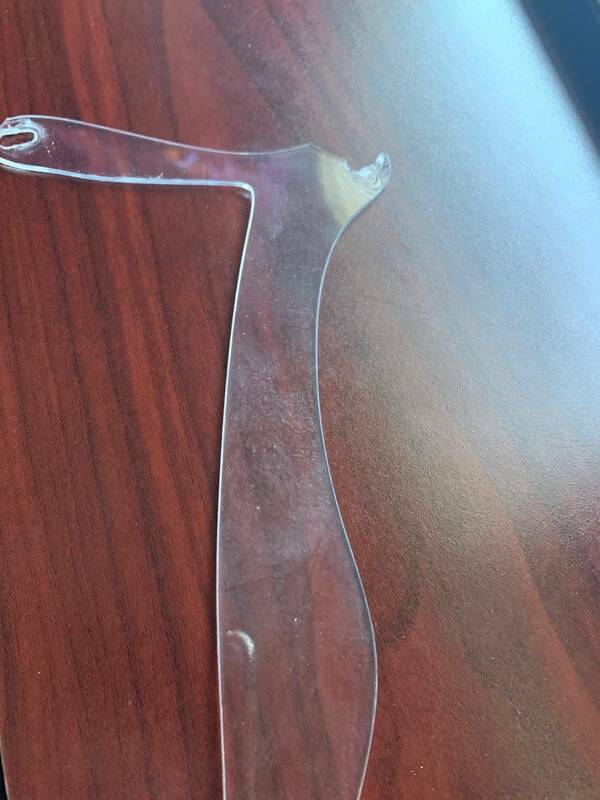 Put those brackets in and get that ugly piece of plastic out ! Best "mod" you can buy. Did you buy just the brackets or wedges as well? Correct bought just the brackets. me too, they are brilliant - taking that annoying plastic airball protector off makes the game flow so much better. thanks for going to the effort of making them. Sounds like a good product, may pick a couple up myself. Is the install pretty easy? yes, just undo a few screws and swap the new bracket for the old and re tighten and you are back to business. pg 77 post # 3817 has a few photos of the steps. Nice, thanks for the info. I will be ordering a couple for sure. 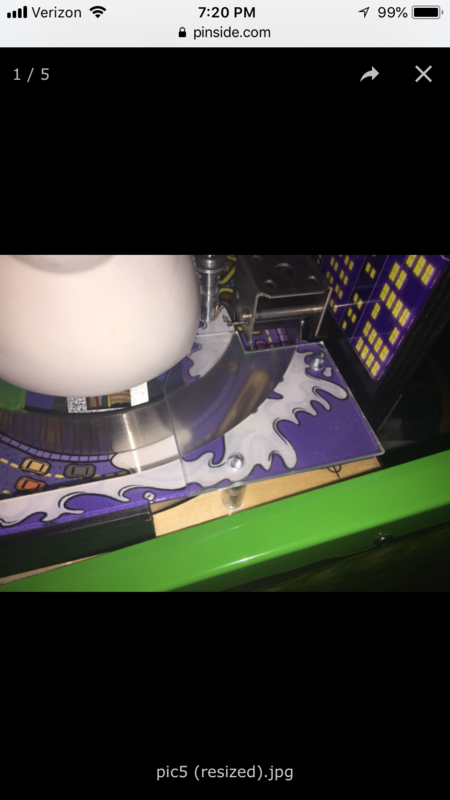 Would you consider making these brackets for Bally/WMS games? There are some targets on my Demo Man that I still get crazy airballs from even after I installed brand new reinforced target brackets. it is doable but just need to know what ones as currently only have 2 running game GB and CFTBL so don't have much to go to. send me a pm. Strange issue came up last night. 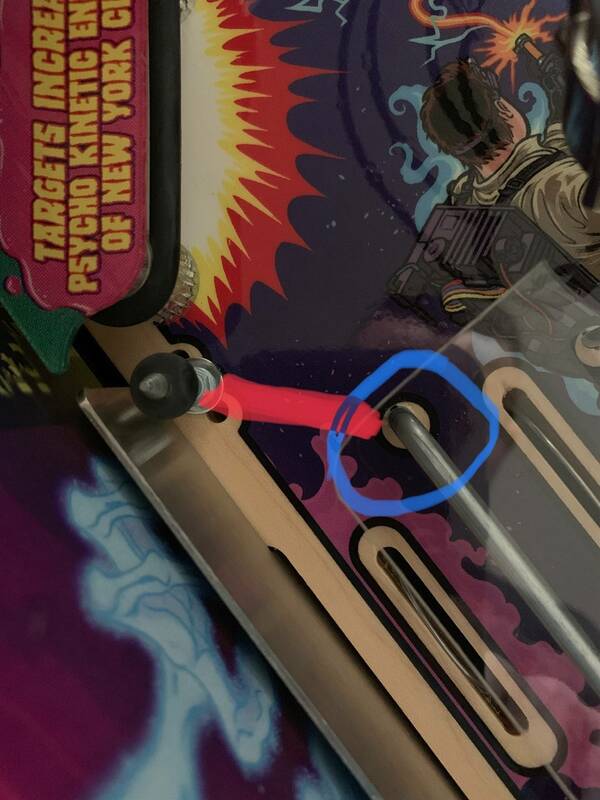 Game was acting weird (could not get a mode to start even after bashing the ghost target), after the game, I noticed something else odd: The Nunzio Scoleri insert was staying lit all the time. Ran through all the lights in test mode, everything looks fine. The Nunzio insert pulses (like the others in test) but just stays on before and after. Raised the PF and found the LED. + side is brown-blue, I followed that to CN4 on Node 8C. No shorts that I can see, the wire looks solid, nothing loose. 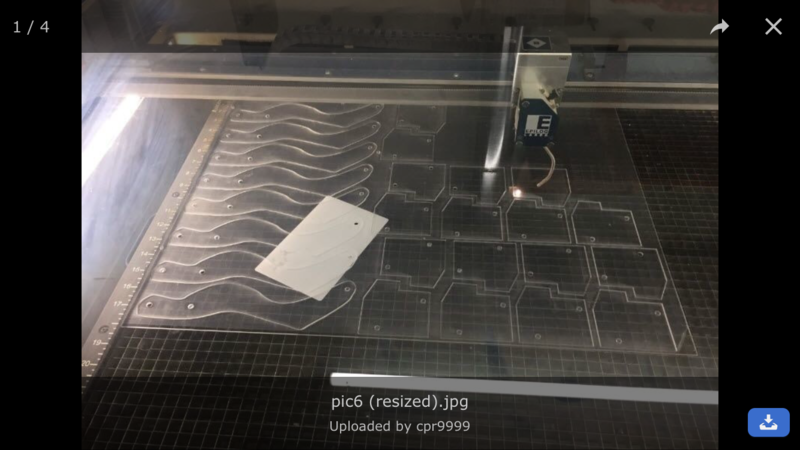 Looks like Node 9 is what controls that lamp (and the ghost target). Wondering if that board is F'd up. Just reached out to stern support so will wait to see what I hear back. 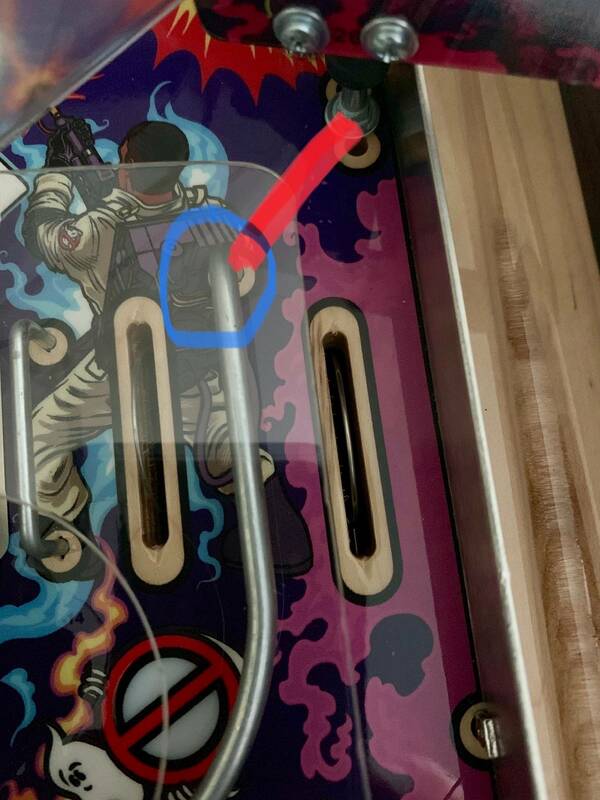 Has anyone had trouble with slimer not going up or down? Won't work in test either. GB pro. 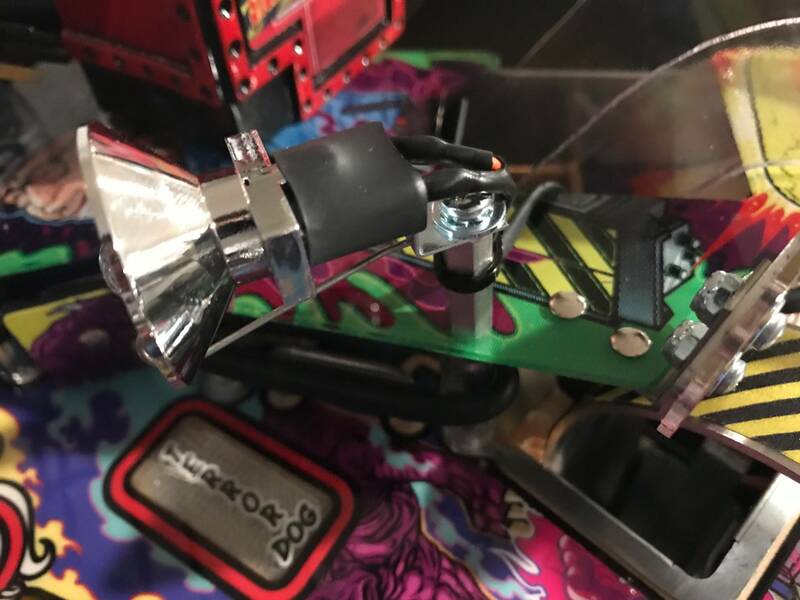 The little board the slimer motor wires go to has a green led and a red led on.